This piece was really fun to create. Since I was child, I always loved to paint houses. And today, even as an abstract artist, I still enjoy doing architectural renderings from time to time. So, the majestic domes of classic Islamic architecture is no exception. 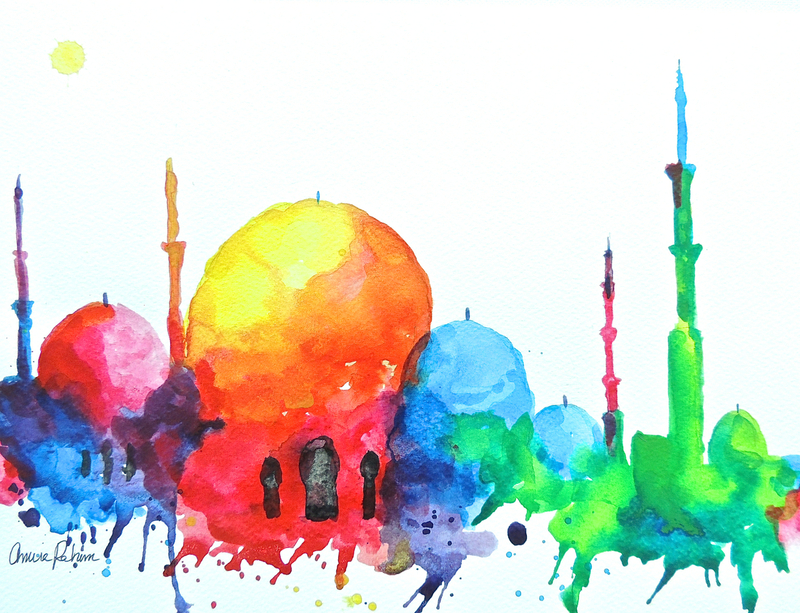 I decided to paint the iconic Sheikh Zayed Grand Mosque but in a colorful, abstract style, true to my own vision as an artist. 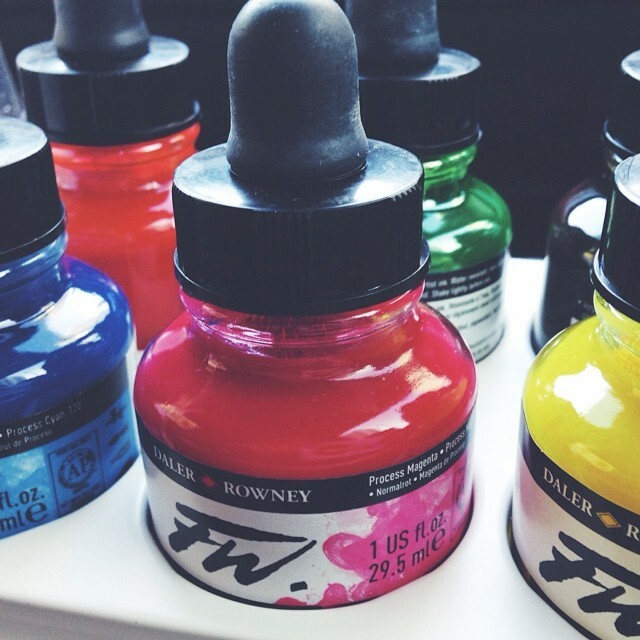 I used high-quality acrylic inks which dried much faster than watercolors and allowed me to apply multiple layers in a short amount of time. Since I’m a rather impatient painter, this is one technique that I love! I used the straw method, which involves blowing the inks at the bottom to push it into this cool, splattered effect, and achieved the energetic look I was going for. To my delight, the original sold within minutes of me posting it online. But, I am happy to now offer fine art prints of this painting in my online shop, and in my Etsy store. I think it would make a great gift for Eid! New Art: More Abstract Paintings in the Etsy Shop! Check out my wife’s artwork! That’s absolutely wonderful! Though the country I had visited was war torn, the beauty is still there throughout a lot of the architecture, especially Mosques!